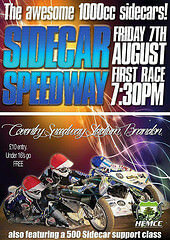 30 July 2015: Sidecar Speedway Returns. 23 July 2015: Frittenden Flyer Poster added. 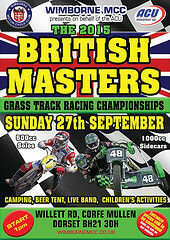 17 July 2015: British Masters Poster added. 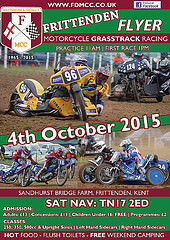 17 July 2015: Peterchurch Regs & Entry Form added for the Bank Holiday Dash meeting on 31 August. 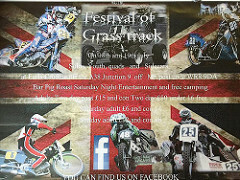 15 July 2015: Worcester’s Poster for this weekends meeting. 12 July 205: British SandAce photographs added. 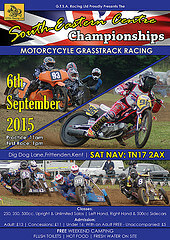 9 July 2015: British Championship: Racing & Podium Pics added. 9 July 2015: British Championship Practice & Parade Pics uploaded. 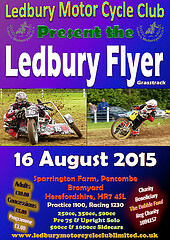 9 July 2015: Ledbury Flyer updated with Prices & Charity. 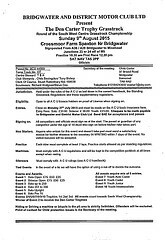 2 July 2015: Bridgwater Regs available for the 9 August Den Carter Trophy meeting. 2 July 2015: GTSA’s South Eastern Centre Championship poster.